I used to wear a lot of black. Well, black and purple. And maybe navy blue. Basically, I’m saying my color choices were very basic and very safe. Two summers ago, I bought a couple of dresses, one was in my preferred solid purple, but the other two had loud-for-me prints. I figured why not. I didn’t get much support when I’d wear the loud prints but now that I’ve worn these dresses for two summers, I’m pretty confident in them and I’m less concerned about any doubtfuls looking at me. In my sewing, I was going for safe, solid colors, and I’m sorta done with that. Sorta. I’m not going to burn any solid color bridges or anything. I just want to play with colors, prints and of course, color blocking. I will one day do some fun color blocking! What do you think of the Pantone Spring Trends for this year? What about Tangerine Tango? I am absolutely loving the vibrant colors. Especially after this grey winter. I also love the Sodalite blue. So, so much. I’m still going to be using the colors I have always loved but having something like Pantone’s color trends all in one place, it’s helping me break out of my comfort zone. And I love doing that to myself. 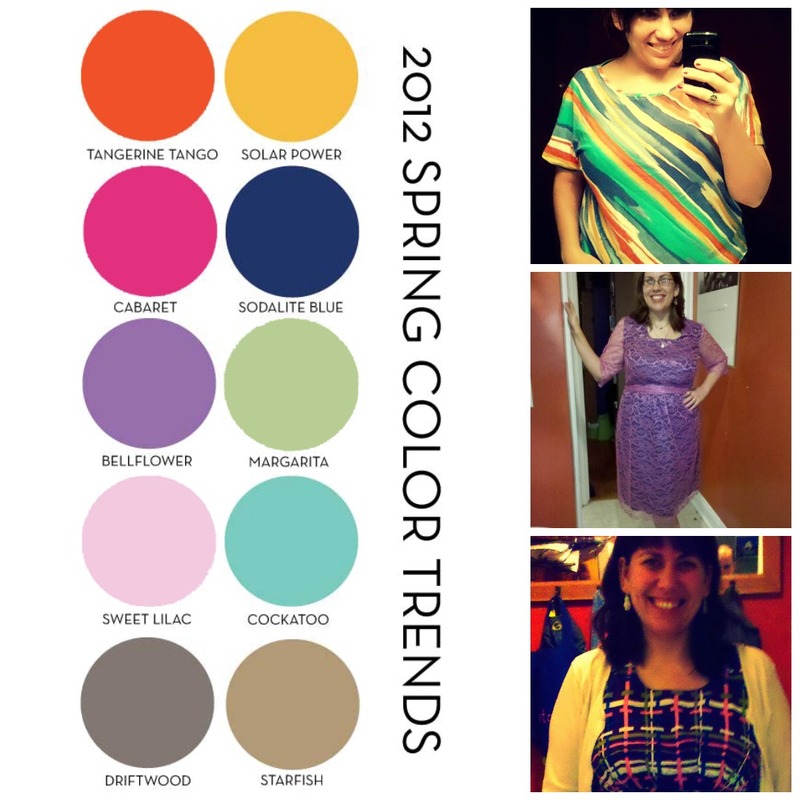 Do you have any thoughts on these Spring trends? Do you love ’em or hate ’em? I used to prefer dark colors, mostly black and navy blue because I wanted to not be noticed. But these days I tend to gravitate towards fabulous reds and deep greens.